REGISTER AND BOOK FLIGHTS EARLY FOR CHEAPER RATES! This is the rallying cry as Nelson Branch plans for this landmark event. improving public profile, increasing youth participation, and extending education and friendship initiatives. AIR NZ has some cheap fares for May if you book now! There are homestays in Nelson for young people if you get in early! The early-bird registration fee, only $100, is available until April 24. There is a splendid range of accommodation near the venue. 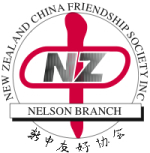 Plan to be in Nelson for the Welcome Ceremony 5.30 – 6 45 pm on Friday May 22 to enjoy local welcomes, children’s kapa haka, youth delegates, art displays, local wines and teas. Airport transfers arranged. Meet up with old friends, then share an optional carvery meal nearby for $27.50. Presentations by branch youth about their exciting initiatives. Extended lunchtime expo with demonstrations by Chinese art and craft experts. Music, kites, magic show, tea-tasting. Try brush painting, tai chi, calligraphy, paper cutting. Success stories from around the country. ‘Ways’ goals were achieved in the last year. Planning for future projects. ‘Ways’ to get and use funding. ACCOMMODATION: Good range, very close to venue. Check accommodation map and book now. Muritai Centre at Tahunanui Primary School, near Nelson’s famous Tahuna Beach. Near the airport, Tahuna Beach Holiday Camp, and many motels and eateries. 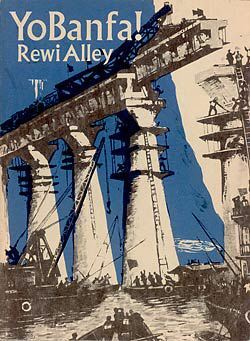 The title comes from Rewi Alley’s book ‘Yo Banfa!’ first published in 1952. 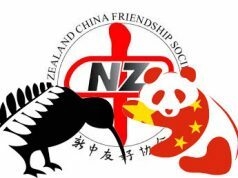 The Saturday programme will be members’ presentations on ways NZCFS executive, committees, and branches are translating goals into actions. Registration packs have been posted online, registrations requested by April 24 (Anzac weekend) after which a late fee will apply. Registration initially $100 ($30 late fee after April 24). Banquet booked with registration $40 – at Eastern Cuisine in Richmond. Friday night optional carvery meal booked at Ocean Lodge near venue at own cost $27.50. Airport transfers courtesy of Nelson members. Accommodation: big range for easy walking, from $25 pp cabin to top class motels.